The plans and ideas for the pocket park were formed by discussions with the local community at the recently held Arches Local open day at the Magpie Community Centre Café. Things discussed included developing a community orchard, a bug ‘hotel’ area, some robust train sleeper type seating, a rustic boundary fencing and some natural play. Arches Local have been active in trying to promote the sadly disused, and in parts run down park in line with its 1st year plan. 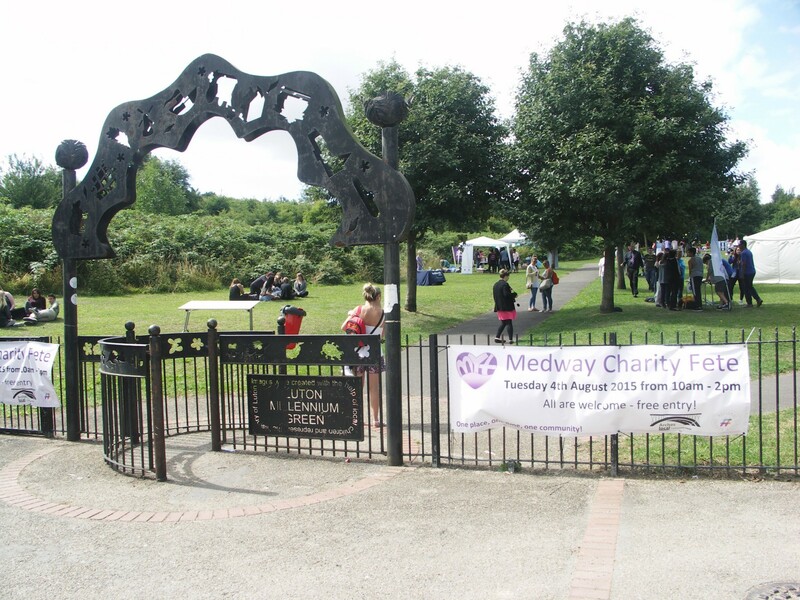 With hosting events at the park most recently the Medway Youth Trust charity fete in 2015. The group believes with this Pocket Park, further investment, and continued community engagement, will ensure the parks legacy as a community asset for future generations. The Pocket Park area is currently blanketed by brambles interspersed with hawthorn and blackthorn scrub. There are parts of the area that seem to attracted litter and anti-social behavior. The proposed location for the pocket park is a part of the Luton Millennium Green that currently offers very little to local residents and users of the space. The large Luton Millennium Green has a burnt out children’s’ play area and a redundant amphitheater surrounded by a large area of gang mown grass. The site offers fantastic views looking out across Medway but is actually hidden from view to passer bys. The plan is to have the Pocket Park open before the Summer 2016, and host an event to celebrate its opening with the community. Great to see that we are creating lasting change! Hi Thanks was really a team effort with major contributions from Medway Plus, Medway Council Greenspaces, Kent Wildlife Trust, and most importantly the Arches Local community for providing the majority of the input on what was needed at our open day! I came across this area (Luton Millenium Green) quite by accident today and was amazed at how lovely it is. I never knew it existed before. Obviously a lot of work has gone into it this year and it was lovely for a stroll around. The trees with their autumnal leaves were also very attractive. I do hope it will be well used. Hi Marion thank you for your comments we will raise your concerns about having dogs on the lead with Medway Council. We agree we do need more red poo bins but in case you did not know can also put your dog poo in the main bin as well this was told to us by the Community Warden.